Risk assessment is a process by which potential effects of contaminants in the environment are calculated and determines if the contaminants may present a human health risk or pose a threat to the environment. At Keystone Environmental, our risk assessments and risk management approaches are performed by specialist professional teams including toxicologists, engineers, contaminant hydrogeologists and biologists. These types of projects are frequently goal driven – to manage the contaminants in place – by balancing engineering and toxicology expertise, the goal is achieved. 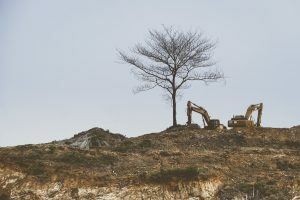 We have applied this approach to significantly contaminated industrial sites, where the cost to clean-up far exceeded the value of the land, as well as to sites where industrial use was to change. We have also provided risk assessment/risk management solutions to enable the industrial operations to continue without interruption. Assessing ecological risk and the potential effects on human health are the key focus for our risk assessment professionals. While the human health and ecological risk assessment may identify unacceptable risks to human health and the environment, it also needs to identify the specific factors that are driving those unacceptable risks. Developing site-specific toxicity reference values, our clients have realized cost reductions of over 75%, representing millions of dollars, by demonstrating that while standards are exceeded, the contaminants are not presenting an unacceptable risk. Similarly, the risk assessment team is able to provide data that enable our engineers to design site-specific risk management measures leading to regulatory approval. We have applied human health and ecological risk assessment and risk management to achieve closure of pulp mills, chemical refineries, shipyards, dry cleaners, service stations, mine sites, and marine sediment associated with industrial facilities. Keystone Environmental also applies risk assessments to demonstrate that contaminants do not pose a significant risk to the environment. Even at sites with significant concentrations and distributions of contaminants and expressed concern by the regulators, we have demonstrated that they do not present a risk to human health or the environment. In such cases, further testing, monitoring or clean-up is not required and can result in very significant savings to the client – sometimes in the millions of dollars. Planning and Problem Formulation – This step is the most important step in risk assessment. It begins with defining the risk assessment objectives, which includes describing the human populations and terrestrial and aquatic ecosystems potentially at risk. Receptors potentially at risk are determined through an understanding of contaminant sources and fate and transport characteristics of different potential stressors (e.g., contaminants). The first step concludes with descriptions of the project goals, proposed methods to measure exposure and effects, as well as conceptual models that graphically identify the relationships between stressors and receptors. Exposure Assessment – The purpose of the exposure assessment is to describe (normally in quantititaive manner) the degree or extent to which receptors are exposed to the various stressors of concern. Different approaches are used for the different receptor groups such as people, terrestrial vegetation, aquatic life and wildlife. Toxicity or Hazard Assessment – The purpose of the toxicity or hazard assessment is to describe the potential effects of stressors on the various receptors of concern as a function of the exposure assessment (Step 2). Risk Characterization – The risk characterization provides an estimate of the risk posed by the stressors of preliminary concern. Risk characterization combines information from the exposure assessment and toxicity assessment to estimate the type and magnitude of risk posed to the receptors of concern. Risk assessment is used by regulatory agencies throughout British Columbia, Canada, the United States and most other developed countries around the world, as a means of assessing potential for adverse effects from stressors. Risk assessments and related analyses are an important component of an increasing number of environmental decisions. The results of these assessments help determine the need for and/or nature of remedial actions at contaminated sites by supporting the derivation of clean-up levels, assisting in permitting new facilities, and in the development of closure plans for old facilities.